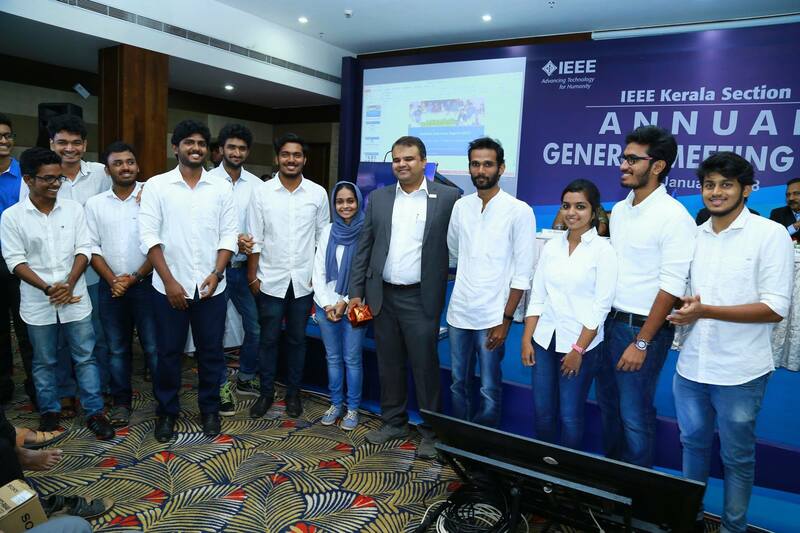 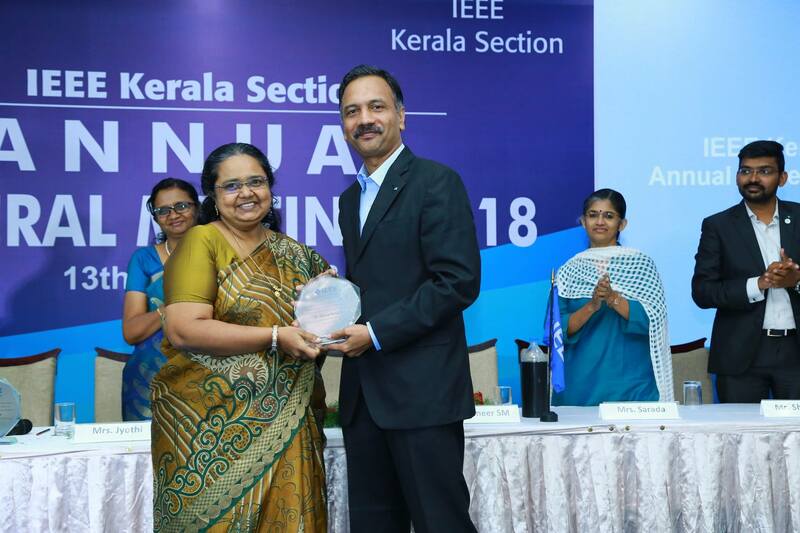 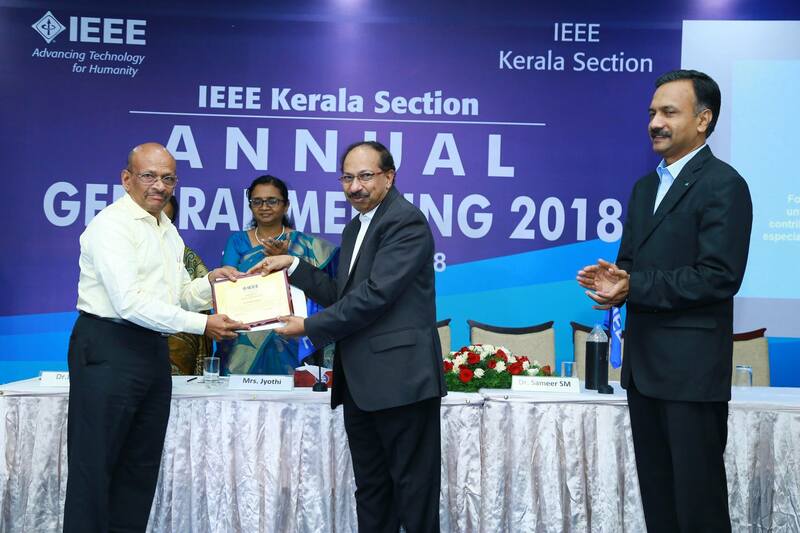 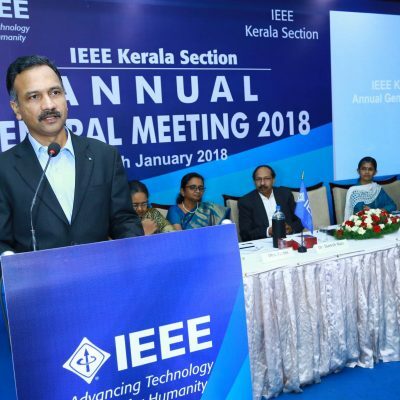 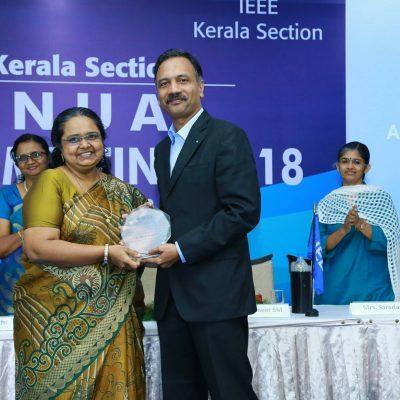 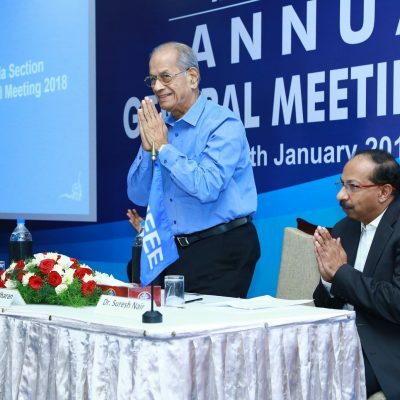 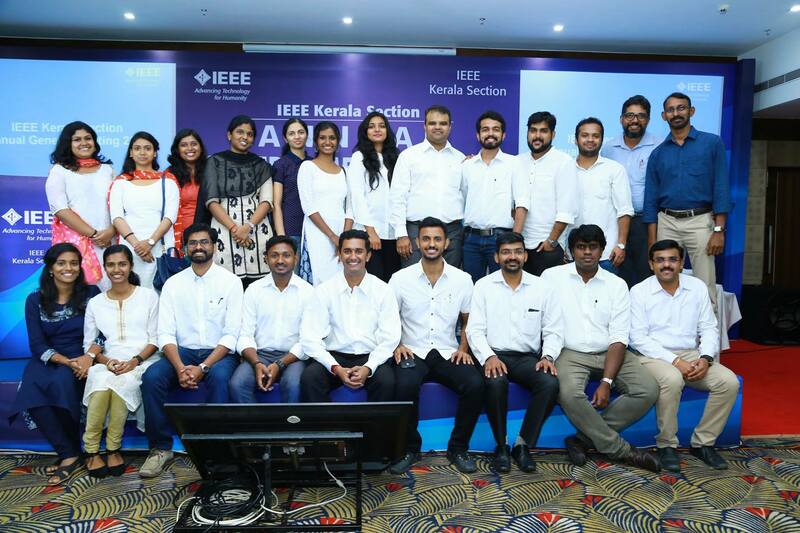 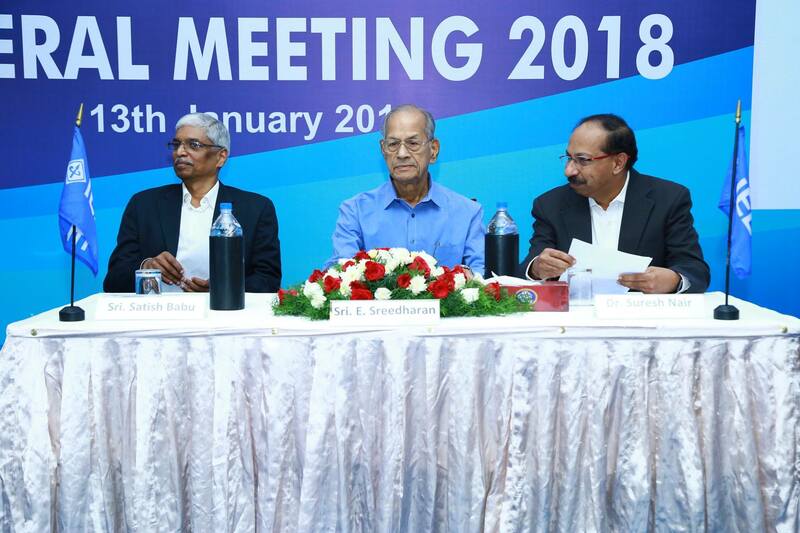 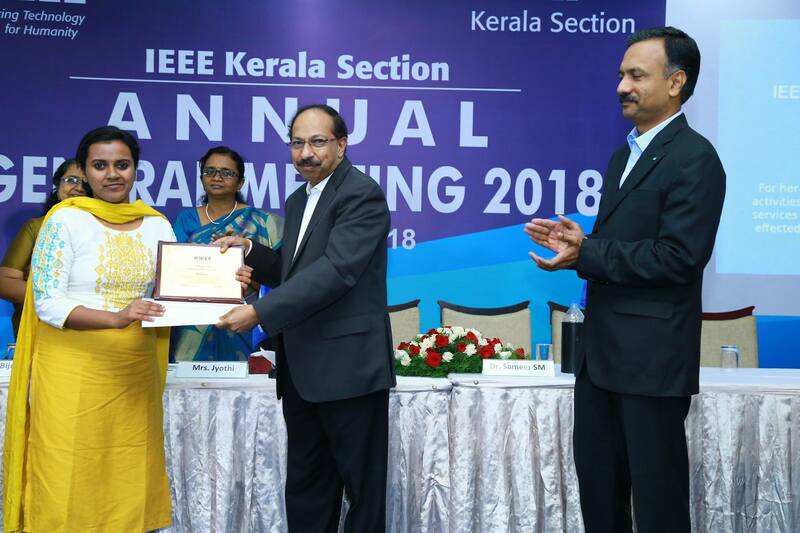 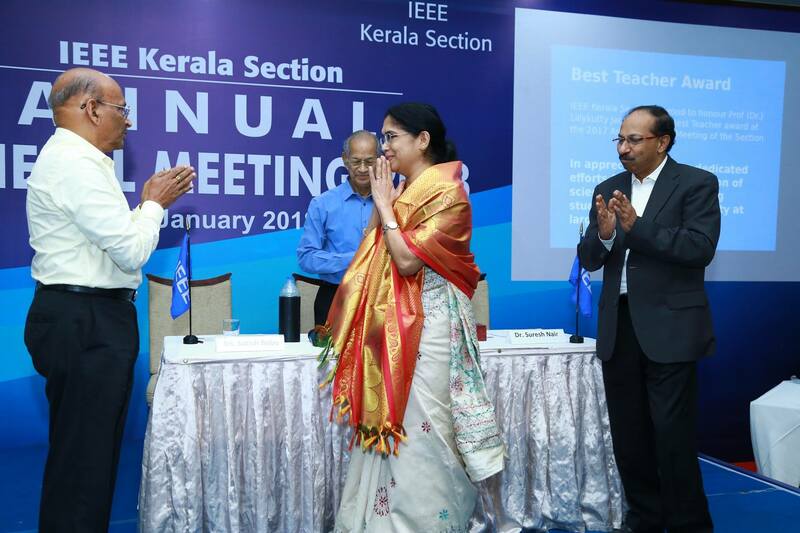 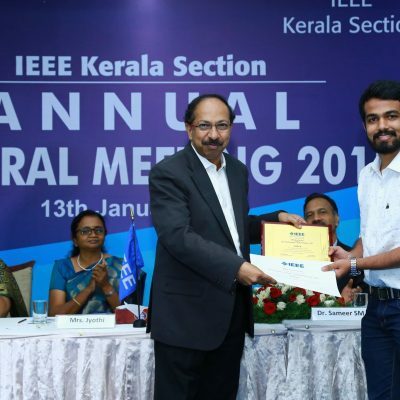 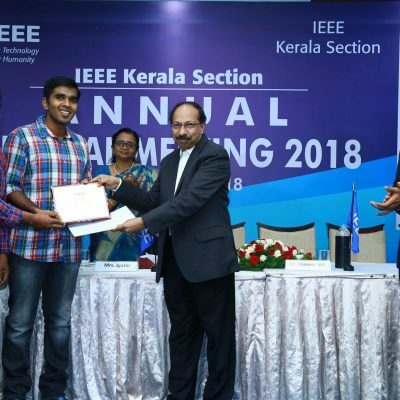 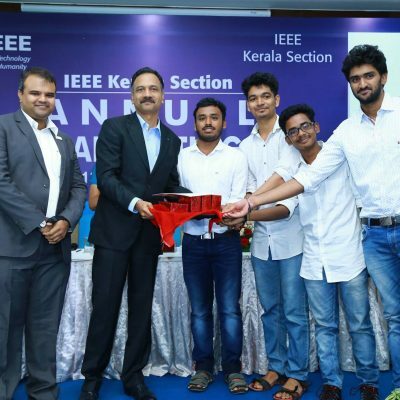 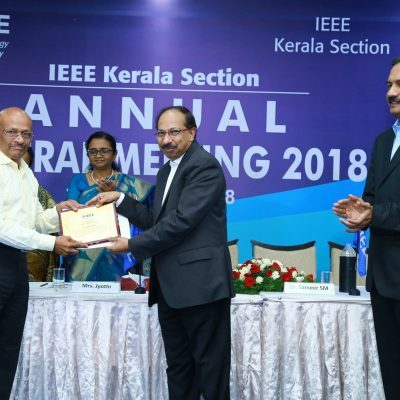 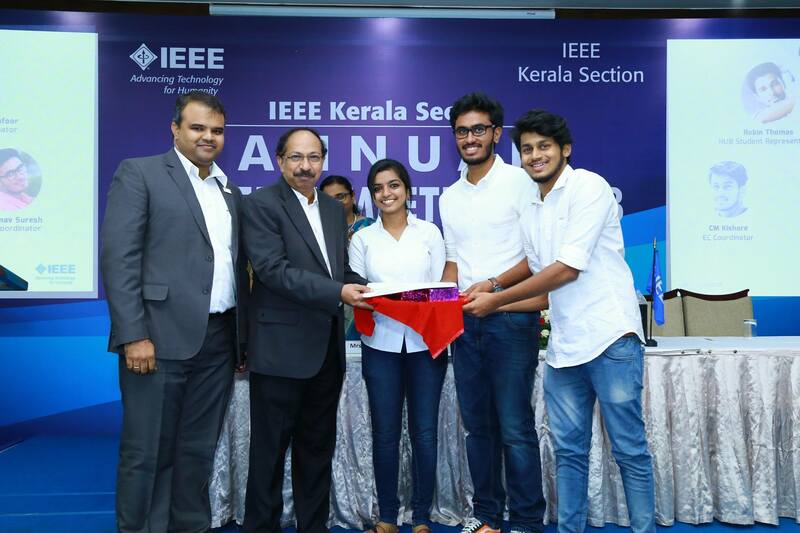 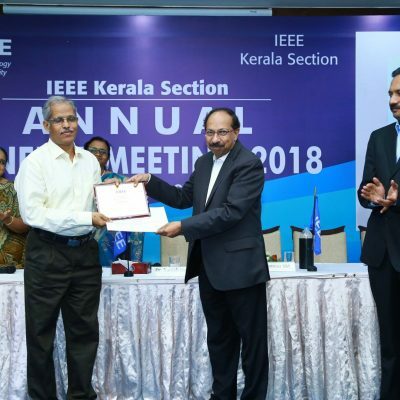 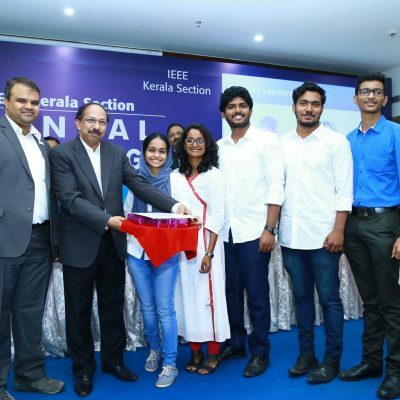 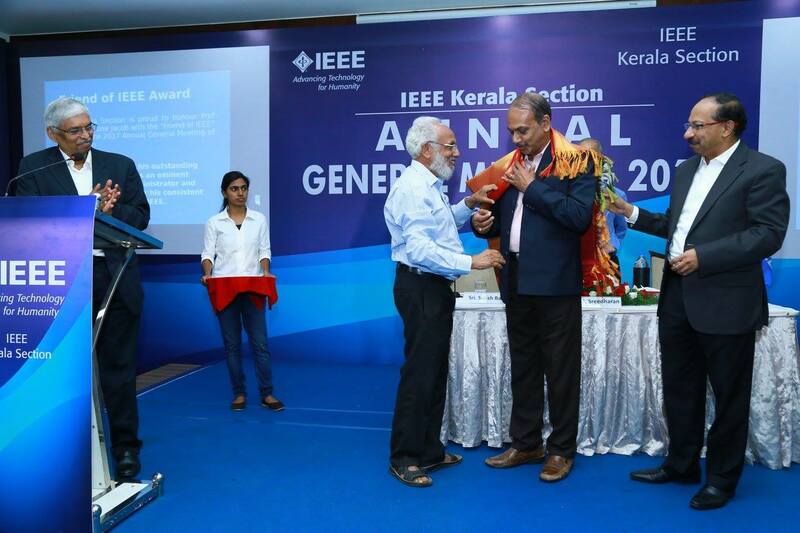 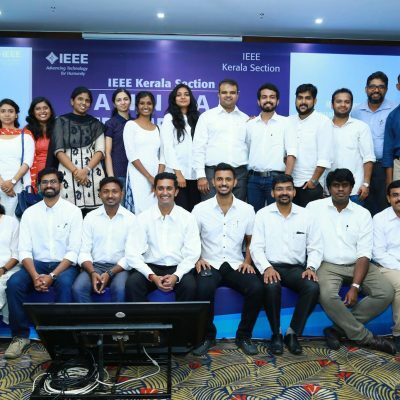 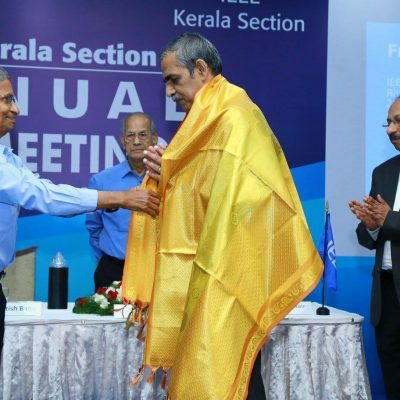 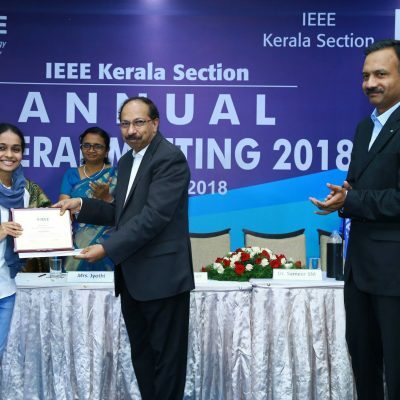 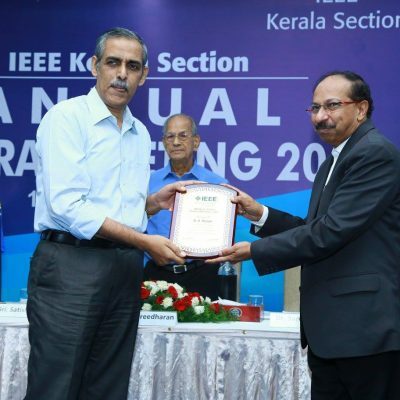 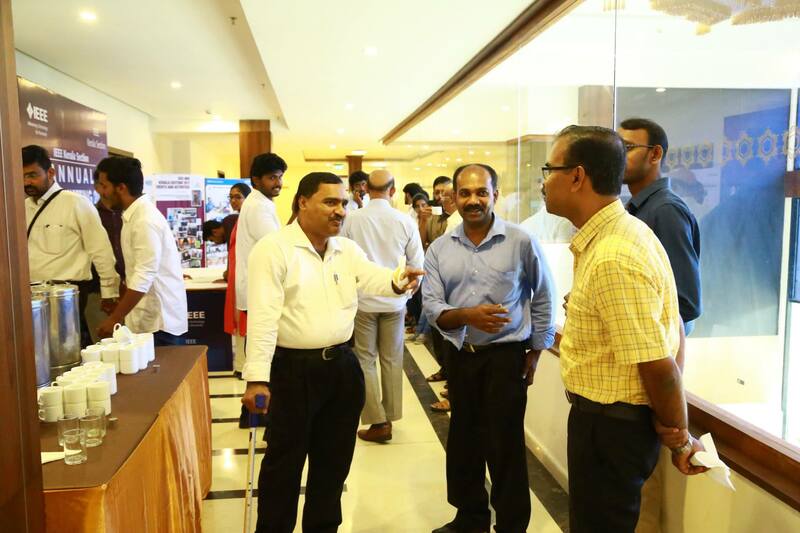 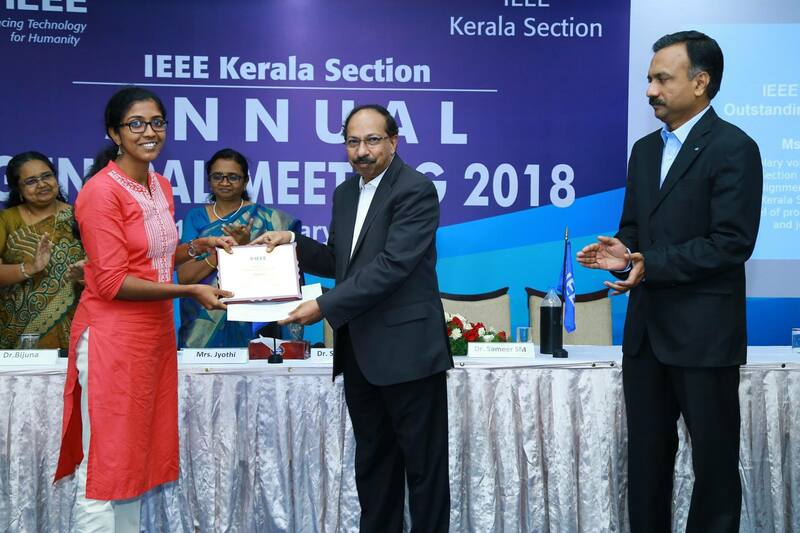 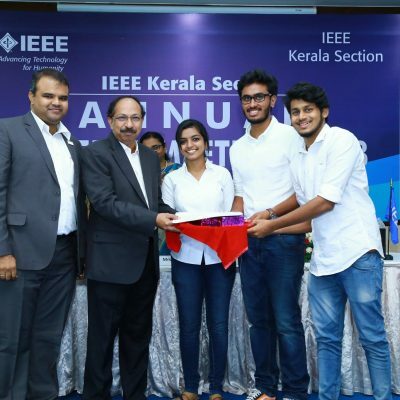 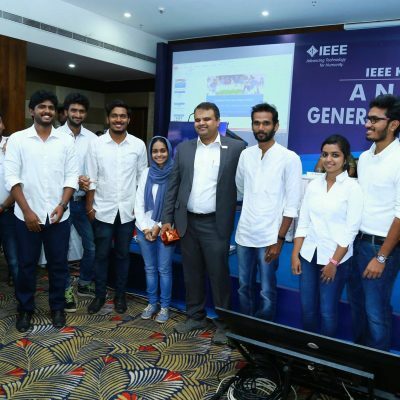 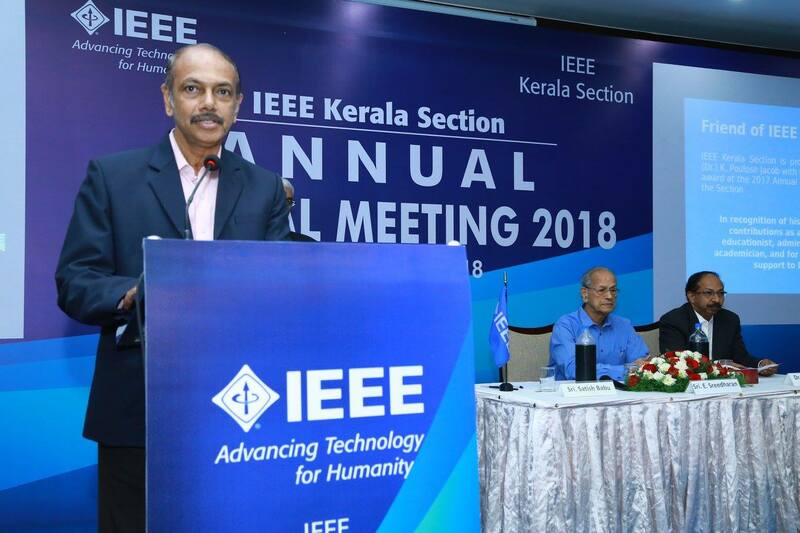 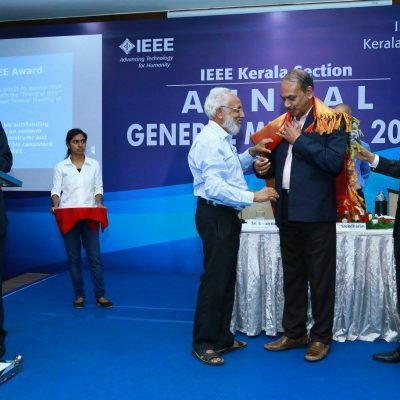 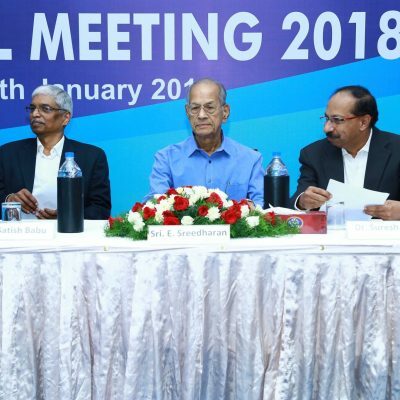 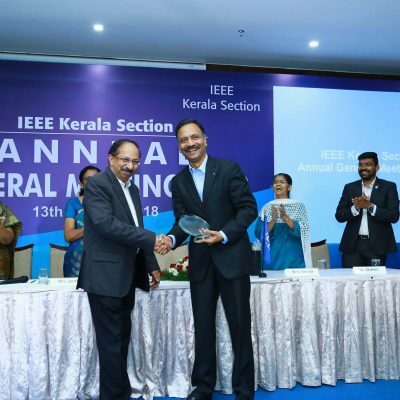 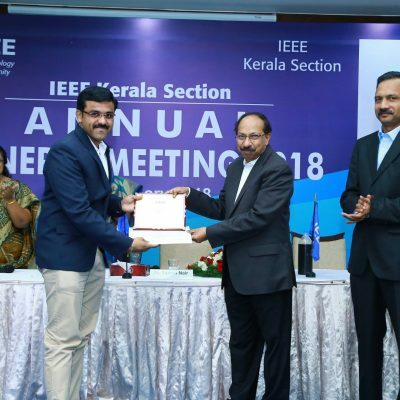 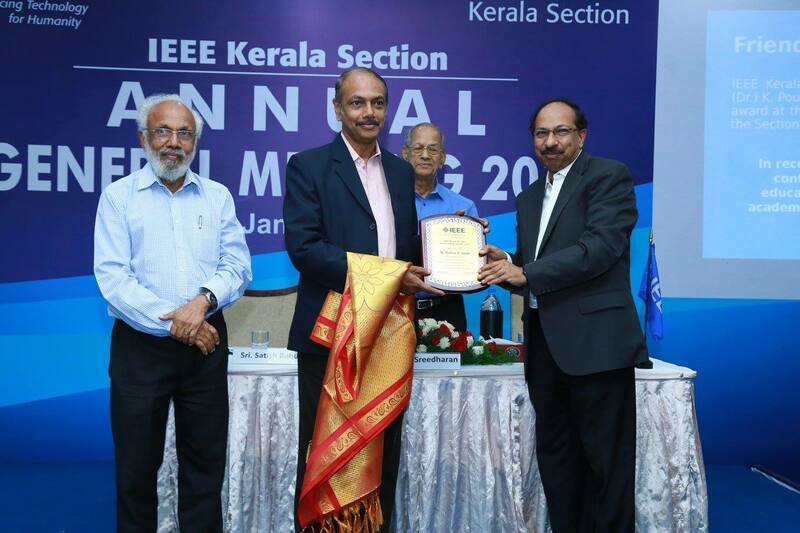 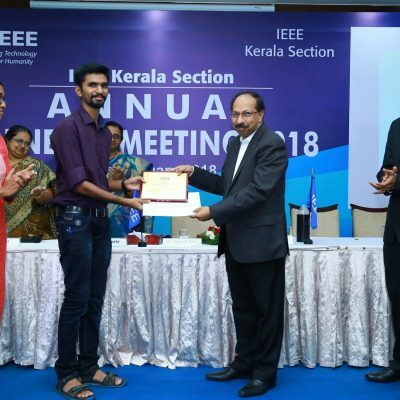 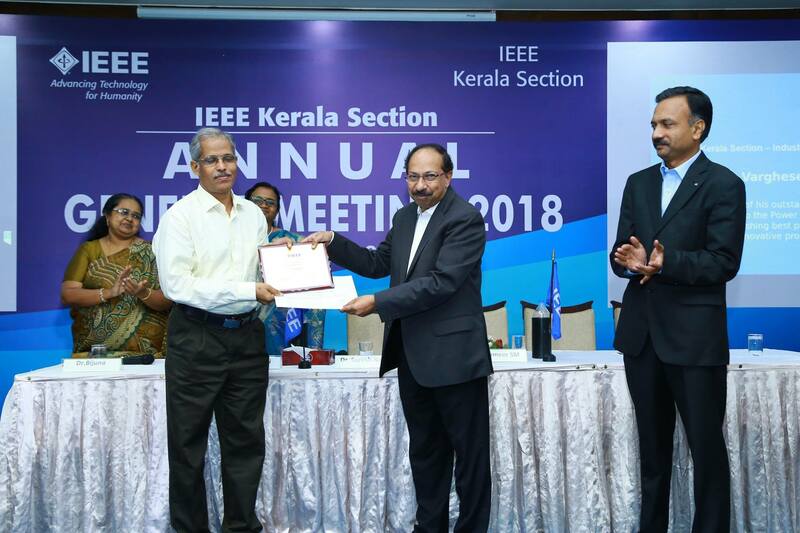 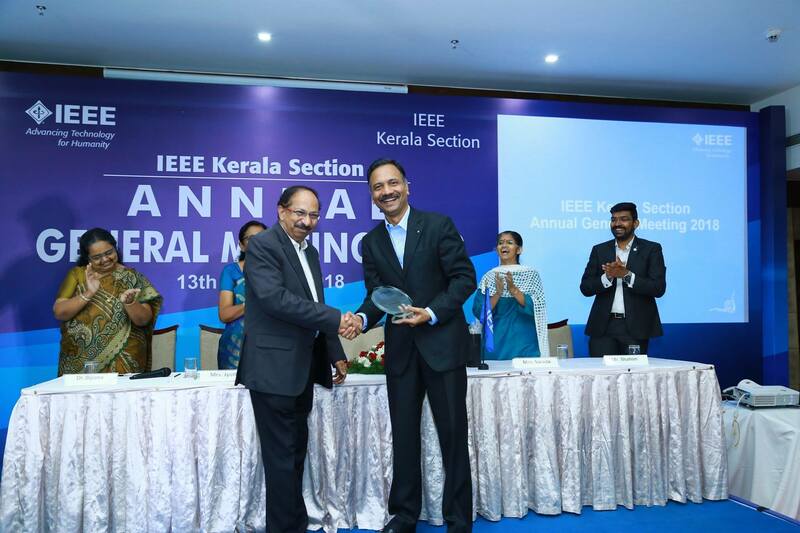 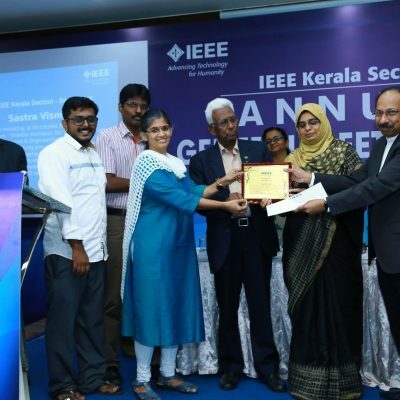 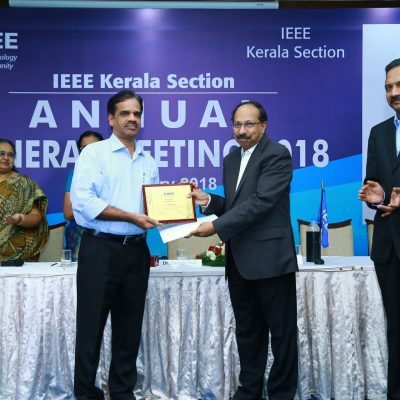 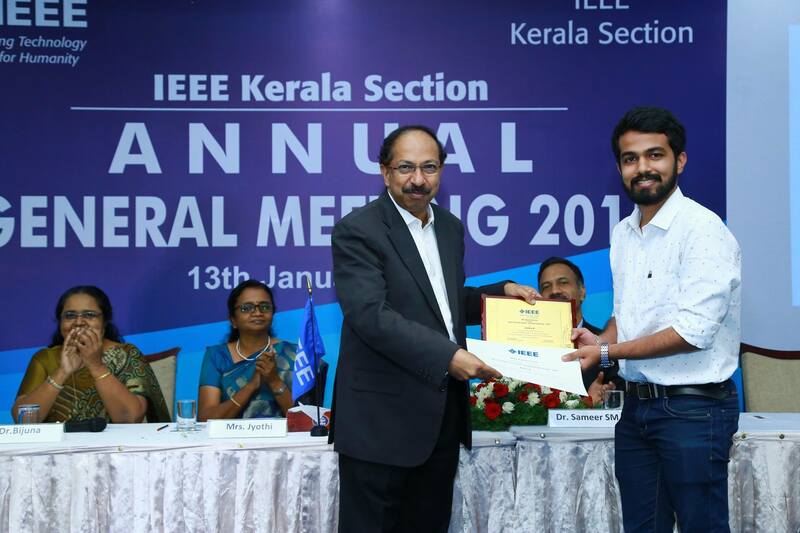 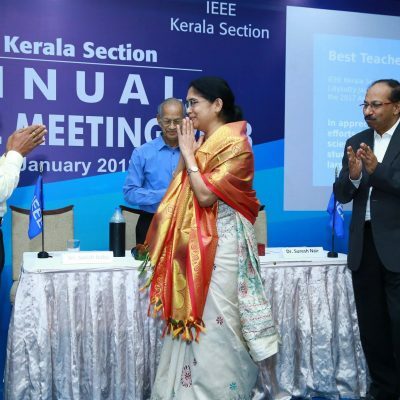 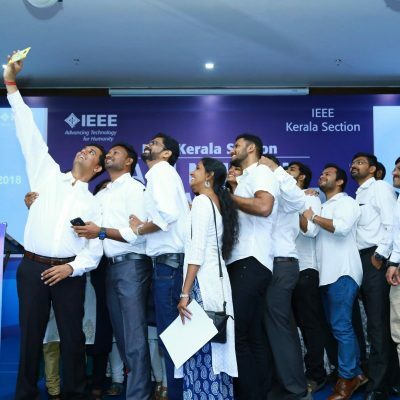 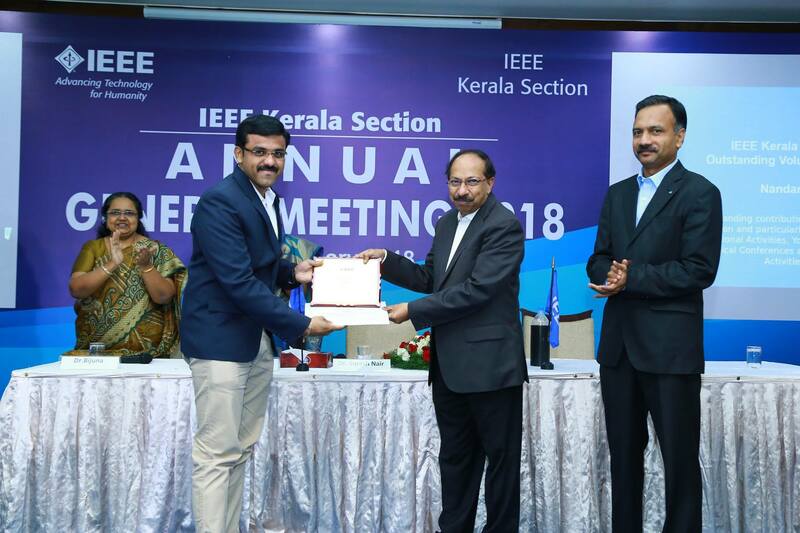 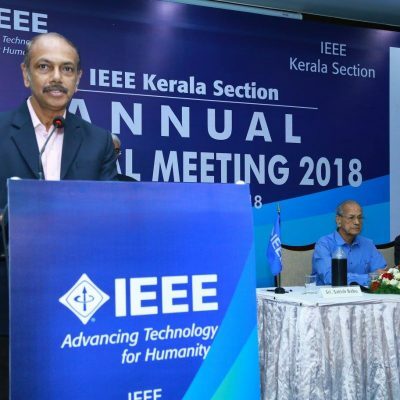 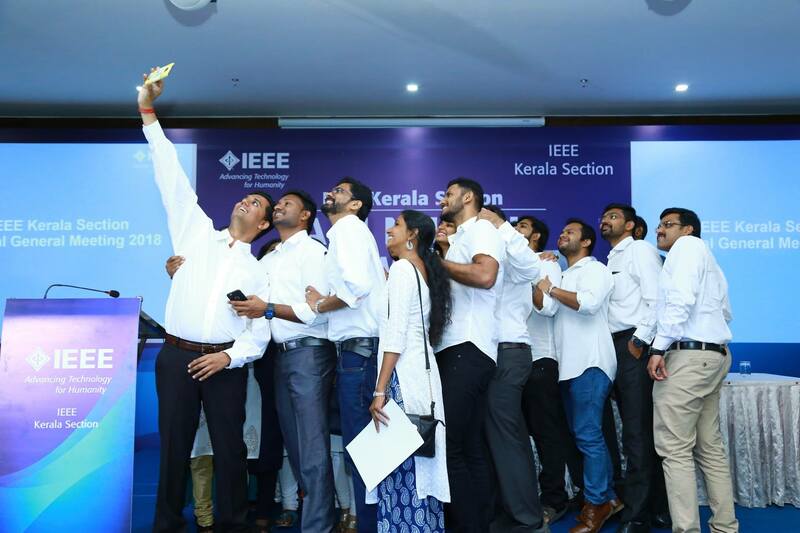 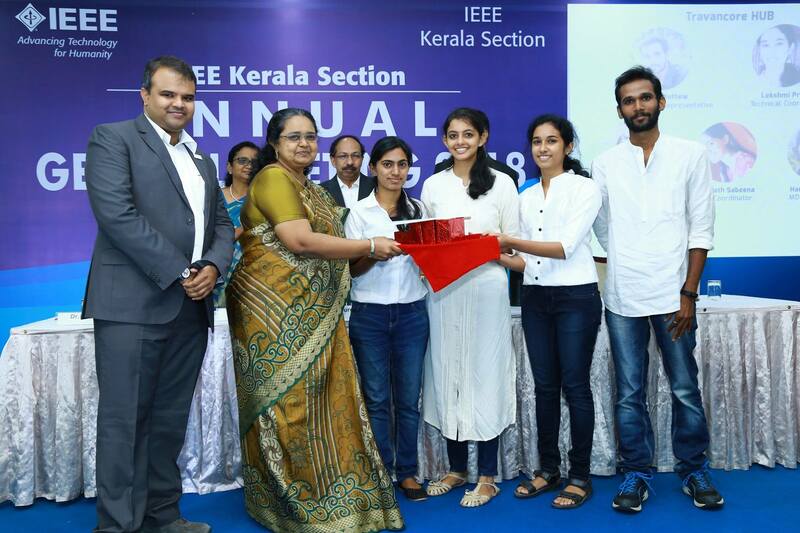 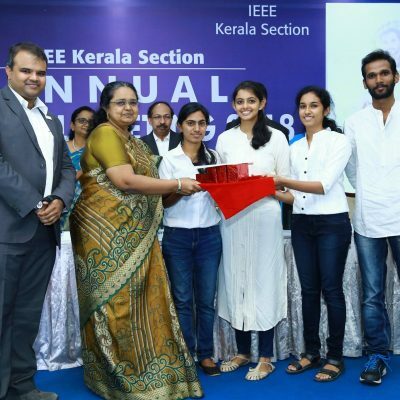 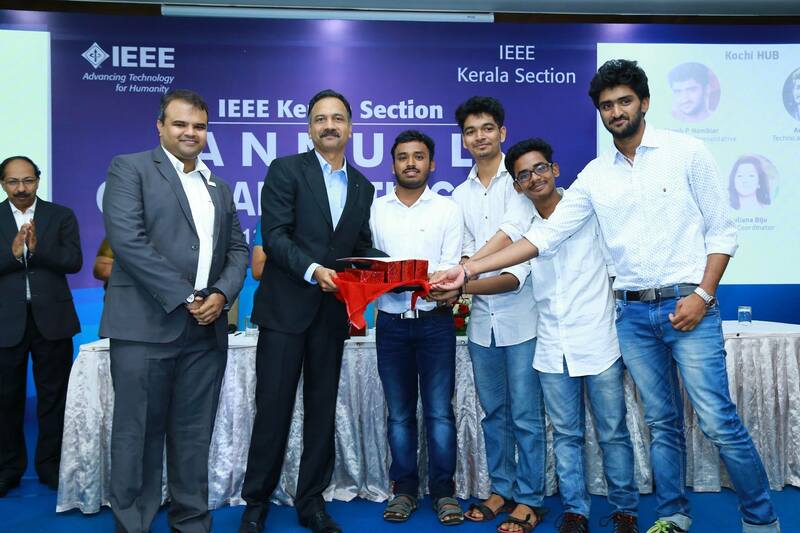 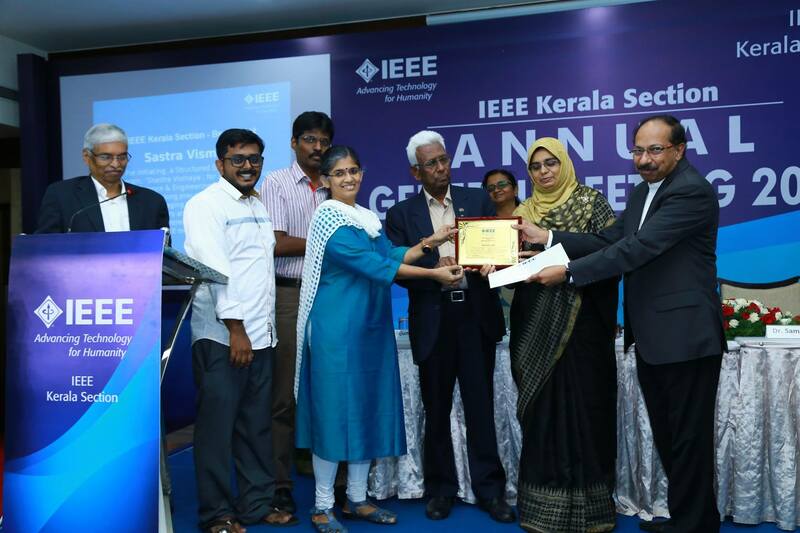 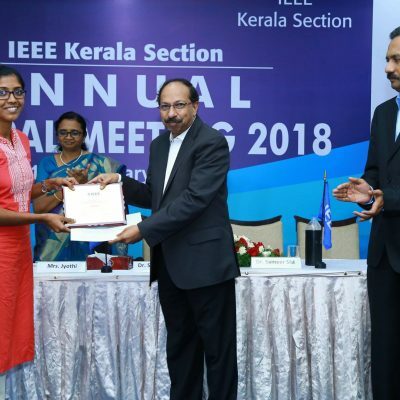 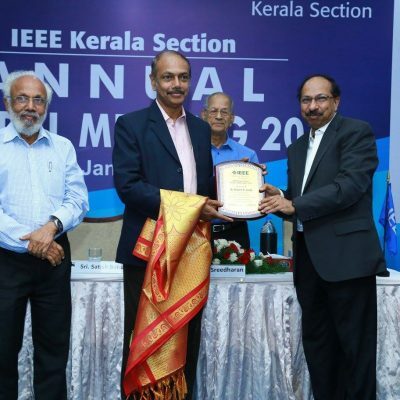 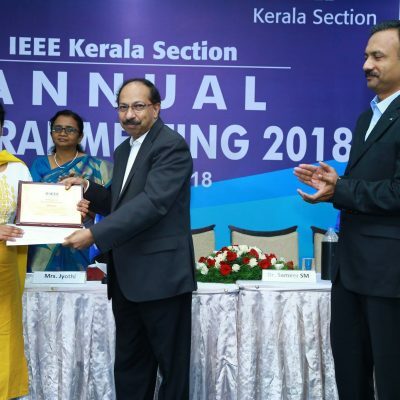 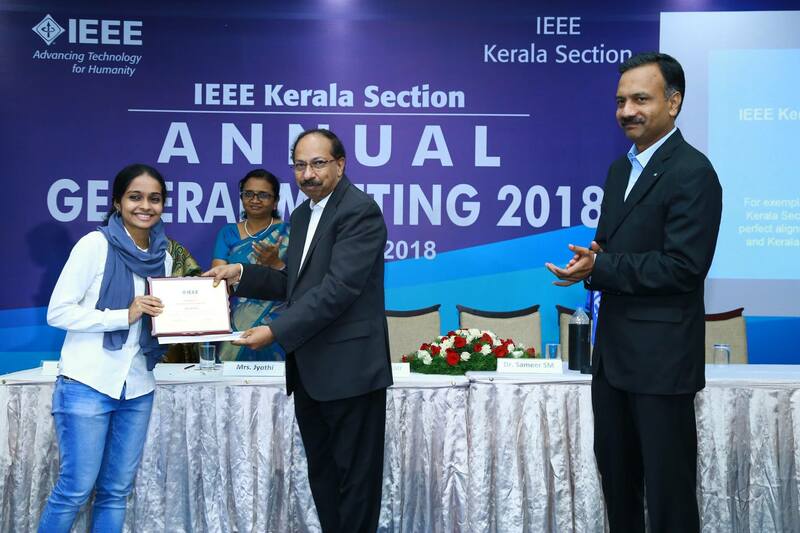 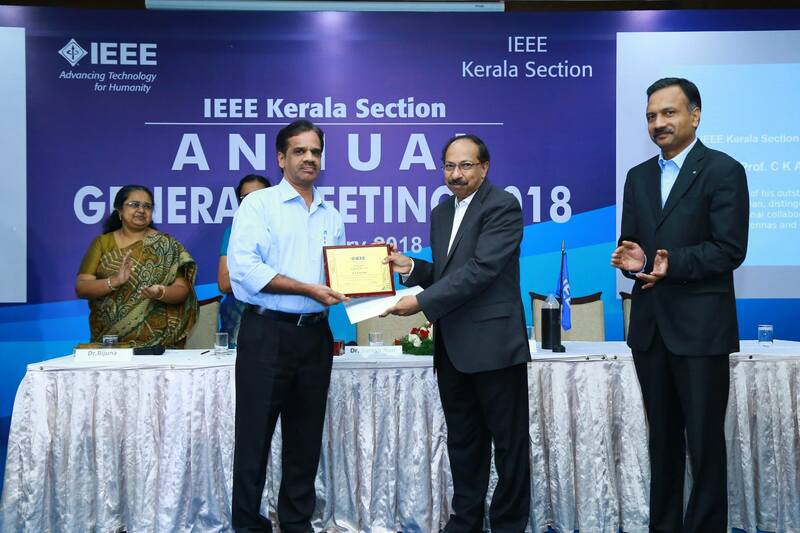 On 13th January 2018, IEEE Kerala Section held its Annual General Meeting and Awards night at Hotel Appolo Dimora. 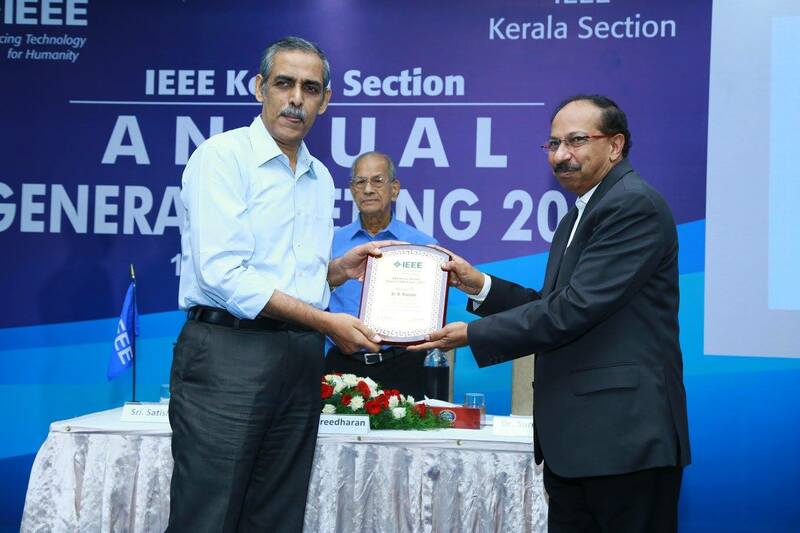 The event started with IEEE Code of Ethics. 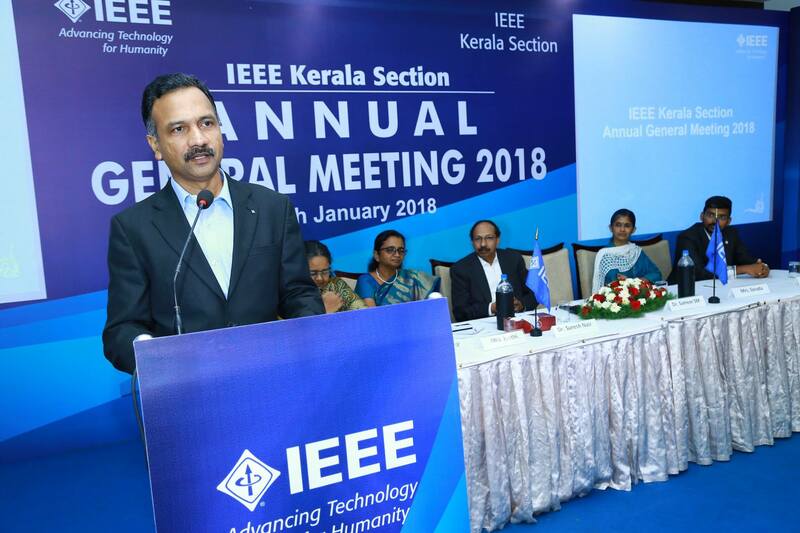 Vice Chair, Dr.Sameer SM delivered the welcome note. 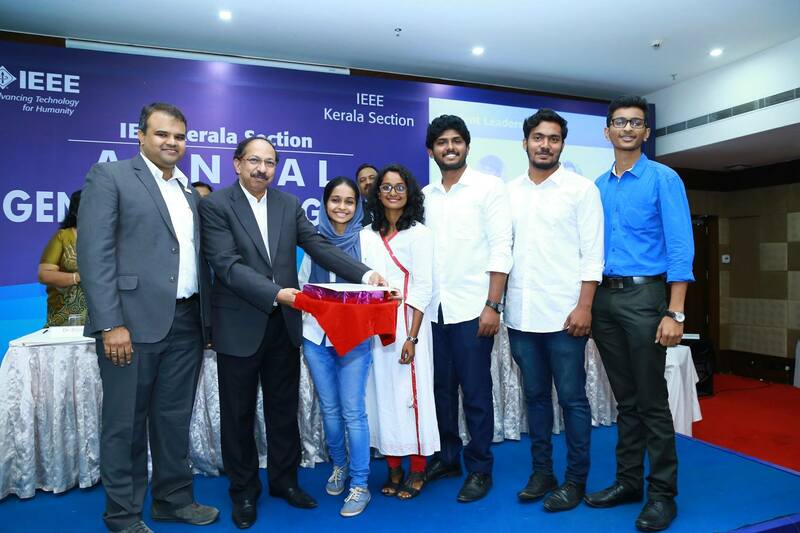 The annual activity report was presented by the Secretary, Dr.Bijuna Kunju and the financial report by the treasurer, Ms.Jyothi Ramaswamy.The student activities report was presented by student activities chair, Mr.Sabarinath Pillai. 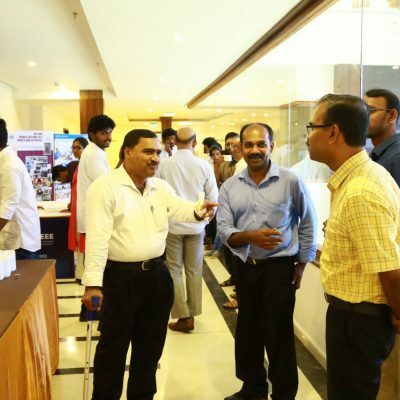 The volunteering awards for 2017 activities were announced and distributed. 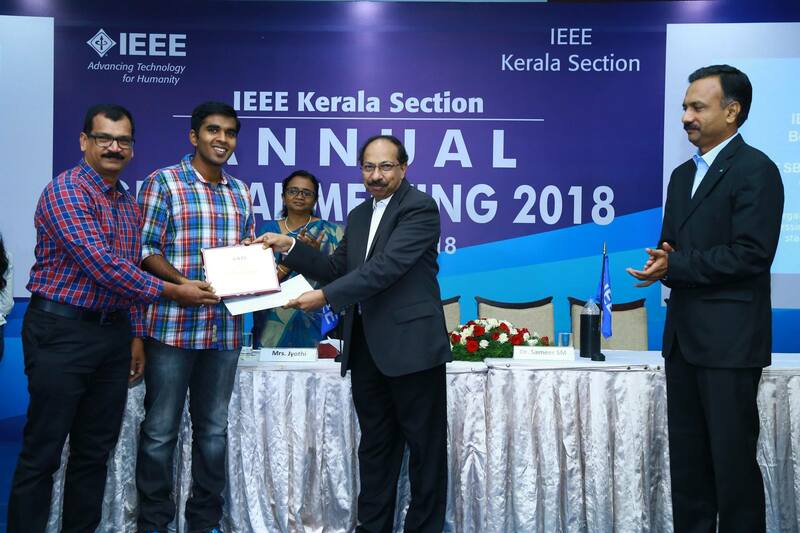 In addition to volunteering awards few special awards line : KPP Nambiar Award for Outstanding Technological Contribution to the Society, Outstanding Academician Award, Outstanding Researcher Award, Award for Outstanding Contribution to Industry were given. 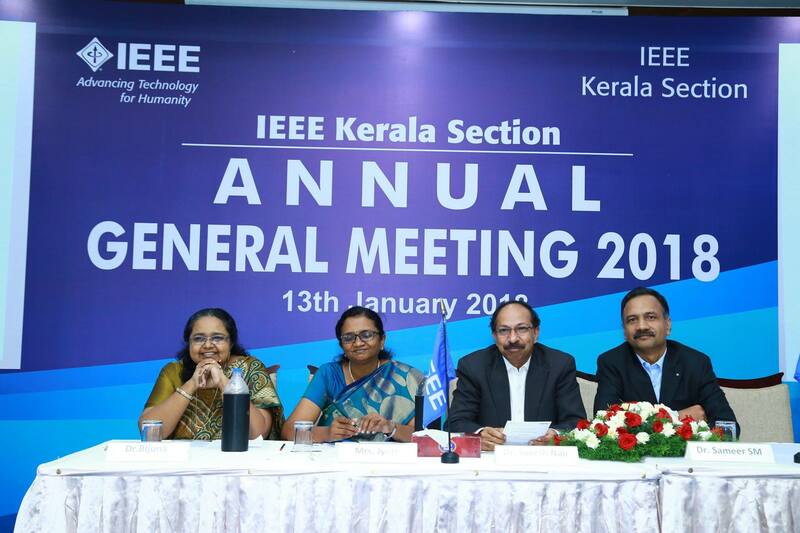 An official slate for Section Office bearers were already announced and publicised among IEEE members. 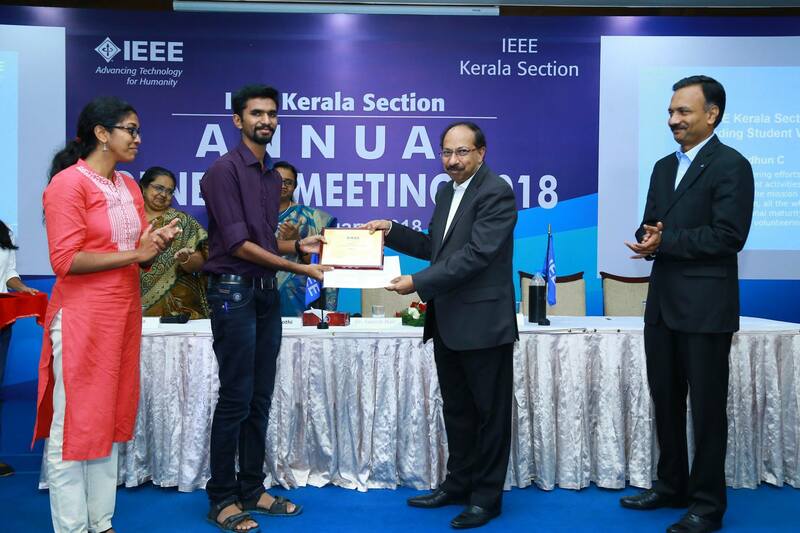 As no other nominations were received, the official slate was announced as the office bearers for the year 2018. 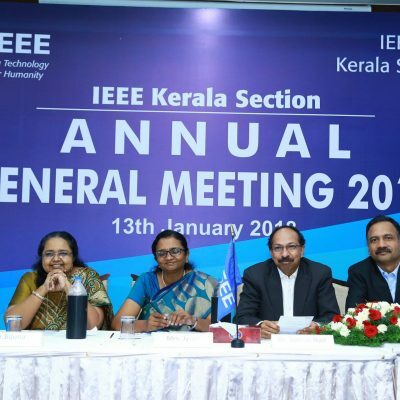 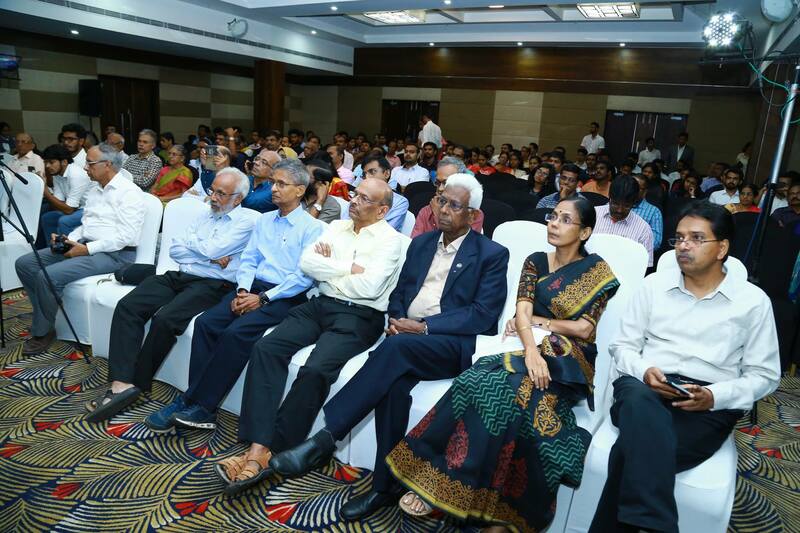 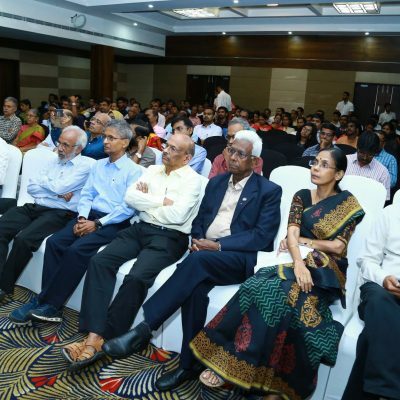 Dr.Sameer SM as Section Chair, Ms.Sarada Jayakrishnan as Section Vice Chair, Ms.Jyothi Ramaswami as Section Treasurer and Mr.Shahim Baker as Section Secretary, took charge. 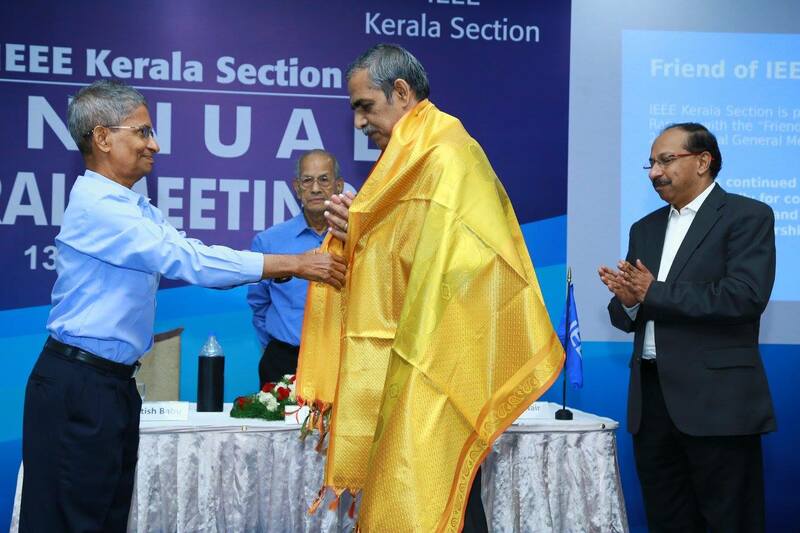 The outgoing chair and the Incoming chair addressed the gathering. 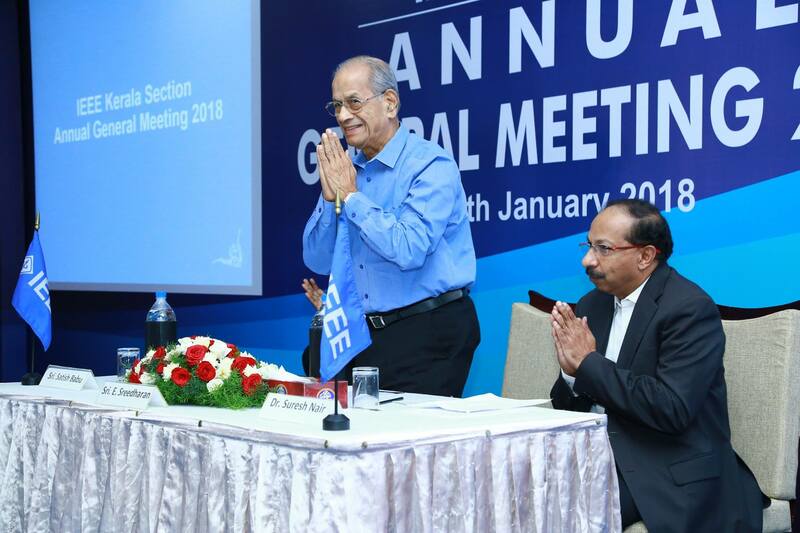 The incoming chair, mentioned his plans and vision for the activities of 2018 and requested members to put forward the suggestions. 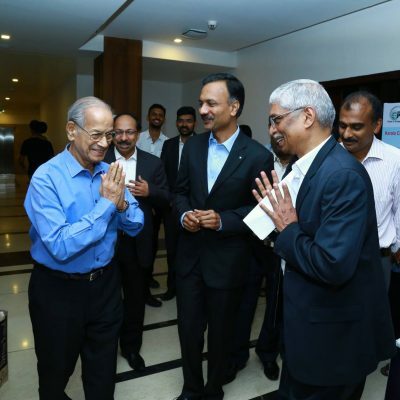 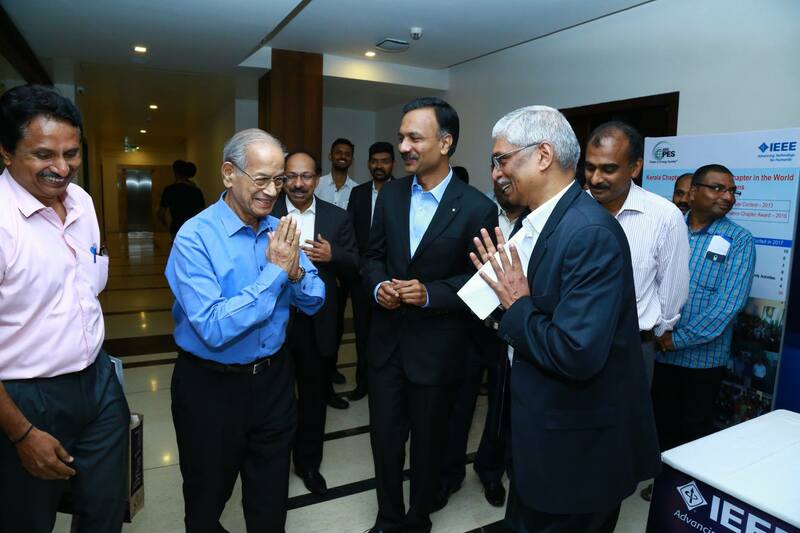 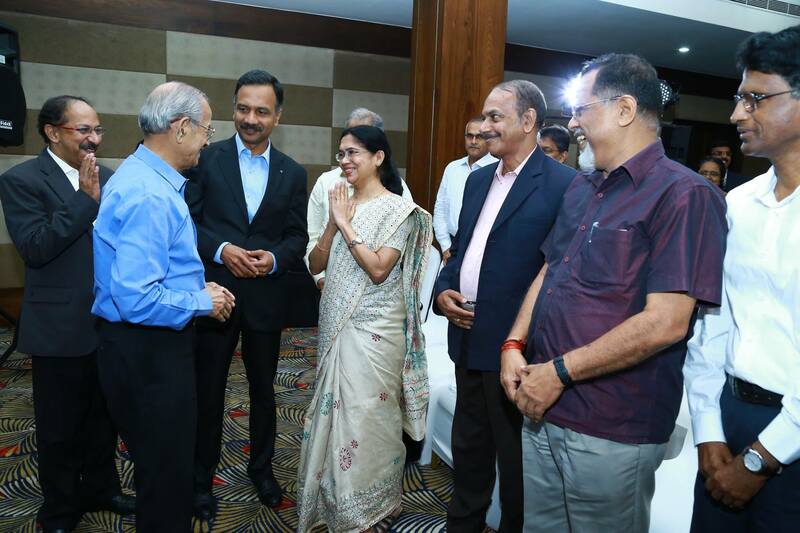 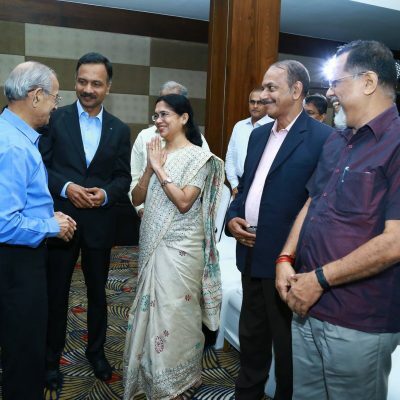 An open forum was there, which discussed possible future activities.The official function ended with an address by the newly elected secretary and a dinner thereafter.